Founded in 1993 as a 9-hole golf course, Bracken Ghyll Golf Club now offers 18 holes, outdoor & indoor practice facilities, well-appointed bar with catering, a function room for up to 120 guests, secure car parking and a true Yorkshire warm welcome. 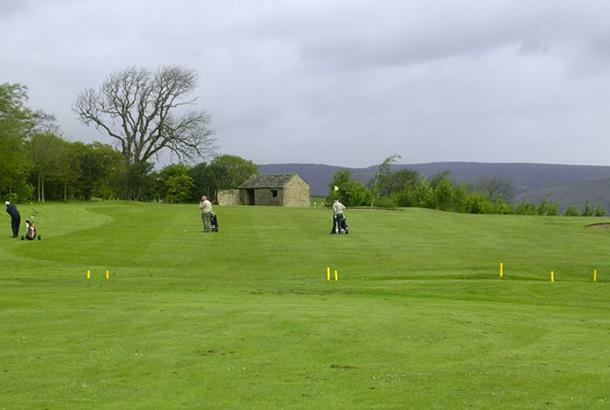 The golf course is built in lush parkland with magnificent views in all directions. Even during winter the views of the famous Beamsley Beacon are spectacular being occasionally capped with snow. National Club Golfer magazine describes the golf course as follows: "With two distinct halves, the 5600-yard layout is an intriguing mix of the old and the new, with a common theme of undulating parkland which is surprisingly mature for its age. A warm welcome and immaculate fairways and greens are reasons why so many visiting parties choose Bracken Ghyll on a regular basis". Socially, the club is very active with regular events to suit all tastes - see the club calendar for more details. At the present time the membership lists are open in all categories and new members are always welcome.